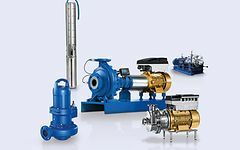 Bespoke service concepts, original spare parts and rotating equipment services – our KSB Service provides customers with comprehensive expert support and assistance round the clock. KSB Service supports customers from all fields of application, whether it is industrial or municipal plant and power station operators. Our service network, with 6 mobile Service teams and 5 Service workshops in Thailand, is the perfect basis for first-class pump and system maintenance services. 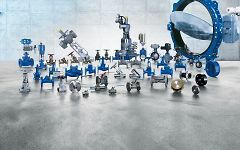 Repair, maintenance, service: through its service centres KSB offers professional services at a global scale, for products by KSB but also other manufacturers. The main advantage in this is our widespread network of easy-to-reach service centres. All original spare parts at KSB are state of the art. They reduce energy consumption and prevent downtime.